Rabbi Shaul Wilhelm, Chief Rabbi of Chabad in Norway, visits Cave of Patriarchs and Hevron Jewish community in tour organized by Lev HaOlam. 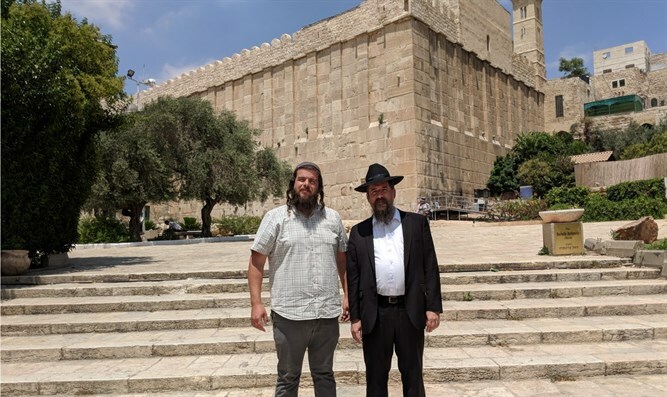 Rabbi Shaul Wilhelm, the Chief Rabbi of Chabad in Norway, visited the Cave of the Patriarchs and the Jewish community of Hevron, as part of a tour organized by Attorney Nati Rom of the Lev Ha'olam organization. Rabbi Wilhelm said "this was a very special experience to meet with the people who live there." The rabbi spoke about the global boycott of Judea and Samaria and stated "such extremism has no place in any discussion". The Rabbi and Atty. Rom spoke about the situation of Hevron's Jews and about recent events in the city, including savage TIPH organization brutality and lack of accountability. In the course of the tour, the two discussed the importance of Jews abroad coming to Hevron and visiting the Cave of the Patriarchs, as well as the importance of the struggle against the global boycott of Judea and Samaria. Rabbi Wilhelm said: "It was a very special experience for me, to bring my family to Hevron for the first time. Every time I arrive, I learn something new. "Yesterday, I heard for the first time from the people who have been living there for decades, about the daily struggle in keeping their homes in Hevron. It was a very special experience, there are no words that can express the magnitude of this experience." "What I take with me to Norway is the strength and commitment of those special Jews who live in Hevron today; as well as their determination to remember and understand that this is part of the land of the Jewish People. Any kind of boycott that's aimed towards the Jews of Judea and Samaria is nothing but anti-Semitism and anti-Judaism. It has no credibility within a normal society. "We must take this out of the dialogue, because such extremism has no place in the discussion concerning the Holy Land and the Jewish People." Attorney Nati Rom led the tour for the Rabbi and his family. Founder of the Lev HaOlam organization, he fights the global boycott of Judea and Samaria in the political and informational arenas. 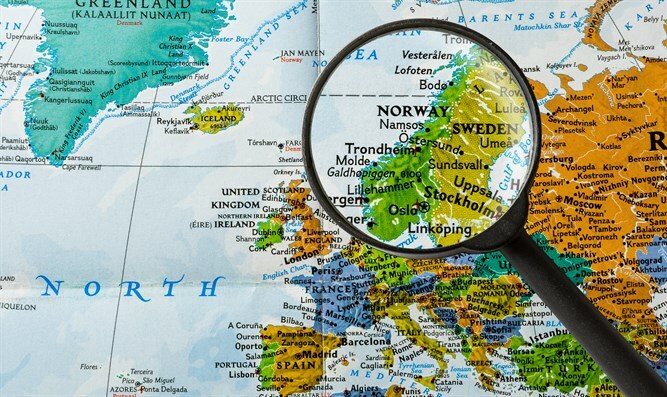 Every month, the organization sends thousands of packages filled with products, to citizens in dozens of countries around the world, many of them in Norway. "It was a very special experience to meet Rabbi Wilhelm, the Chief Rabbi of Norway. We discussed the situation of the Jews of Hevron and the strong connection to the place. We talked about the importance of every Jew in the world to come here. Norway signed the Oslo Accords, which brought about the disaster of countless terrorist attacks and thousands of deaths upon Israel. 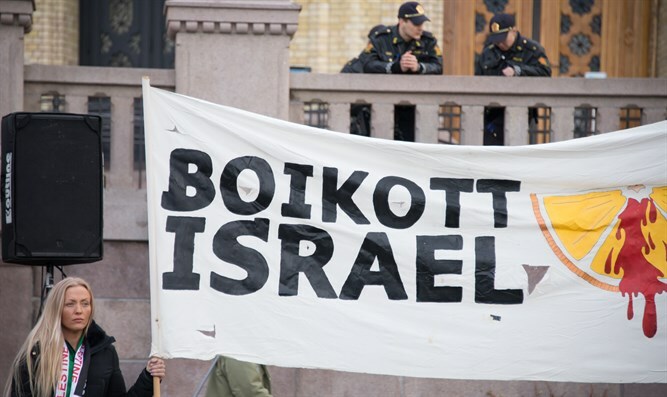 The first step is to fight the boycott and demonization of Israel across Europe. We are already seeing trends of change in Norway and in Europe in general. Rabbi Wilhelm is very helpful in this matter and brings the residents of his country closer to the love of Israel and the land. "